Horror movies, Bats Day, and cosplay conventions have kept Halloween aficionados placated during the off-season, but it’s time to stop playing games and start getting serious about Halloween. With only three months to go until the spookiest day of the year arrives, Midsummer Scream is here to turn up the terror. This latest in an expanding landscape of horror-related conventions has already made a significant impact on the horror community and within Halloween and horror-related industries — many of which will heed the call and showcase their unique brands of creepiness at the Long Beach Convention Center during the Halloween festival’s inaugural celebration this upcoming weekend. OC Weekly (Scott Feinblatt): How is Midsummer Scream going to distinguish itself from the various spook shows and monster cons that are already populating the SoCal area? David Markland: We’re the team who created ScareLA, and with this new thing we’ve planned to take everything we love about Halloween, about haunts, all the color and flair of Halloween and pack it into a single weekend. How we’re going to be different: we have a huge, giant show floor at 90,000 square feet. Half of it’s going to be what’s called “The Hall of Shadows,” and that’s going to be almost like a theme park unto itself. For a weekend, we’re going to have up to 12 haunted houses inside there, where everybody from home haunters to pro haunters are going to showcase what they do. Rick West: I have a really big hand in the Hall of Shadows, which is our dark area, and that will feature a scare zone, which is going to have fog and monsters and sliders just like you would find at Knott’s or at Universal or at Six Flags. 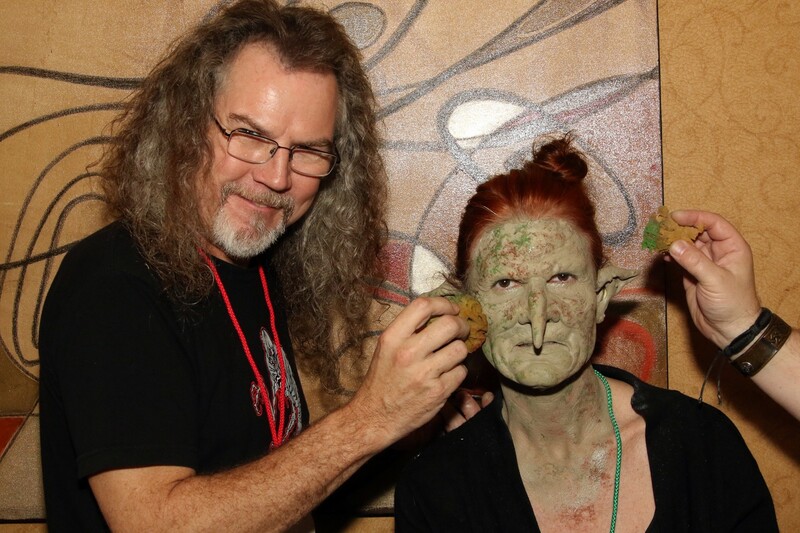 Larry Bones of Boneyard Effects [head make-up artist for Halloween Horror Nights since 2006], is overseeing that aspect of [the Hall of Shadows] and creating an army of monsters for that. It’s a plateful but it’s going to be really, really great. It’s something we’ve never done before, [and] it takes up a really decent piece of real estate on the show floor. We’re really excited because our footprint this year is twice what we had in Pasadena, so we’ve got a lot of space to play with. [Also,] we have a lot of control over the lighting, which we did not have at Pasadena, so it looks like all of Hall of Shadows is going to be pretty damn dark. Most of the horror festivals are up in Burbank, Pasadena, and Los Angeles. What made you decide to move further south, to the Long Beach Convention Center? 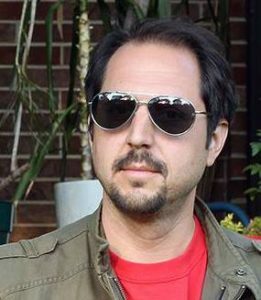 David Markland: If you look at their line-up of events, they have the Long Beach Comic Con down there, which has been booming. Even the LA Cosplay Con is down there, which we didn’t know till after we signed on, but it’s just a good central location [with a] very dense population of Halloween fans, and haunt fans, and horror fans. Do you feel the Long Beach Convention Center lends itself better to this type of event than the Pasadena Convention Center? Rick West: I think so just because I think they’re better equipped as a convention center. Like, our vendors and [the people involved in] our mini-haunts are going to be able to drive right onto the floor, right onto their location, and unload all their stuff as opposed to schlepping it off into a loading dock, so it makes it very easy for people that are participating with us. Size, obviously does matter, in this case. David Markland: The venue is huge; we have 90,000 square feet on our show floor, which is only one of the three show floors that they have, so that also provides us an opportunity to really grow year after year, so it can triple in size, essentially. It’s just a nice venue, and they have not done a horror convention there yet, so it’s exciting to be the first big one there. Who are the people involved in Midsummer Scream? David Markland: Everybody we have with our event is part of the horror or haunt community, and that’s the way we work. It’s all about them coming to us to be able to promote what they do. Midsummer Scream is a destination, but the idea isn’t people come to Midsummer Scream and that’s all that they do all year. The idea is: it’s a launchpad to get them to go out and do other stuff; either during Halloween season, with haunted attractions, or year round…whether it’s getting people to go to Bearded Lady’s Mystic Museum or Dark Delicacies, in Burbank, after [they’ve discovered them at Midsummer Scream], to learning skills so they can turn their own home into a haunt. It’s all about what happens after [the event]. What are some of the panels that you’ve got lined up for the festival? What sort of instructional panels are you going to feature? David Markland: We’re working with SoCal Valley Haunters, who are going to be doing a bunch of on-the-floor make and take workshops, and then CalHaunts, the largest haunter group I think in California are going to be coming in and doing a whole lineup of classes; it’s going to be everything from make-up to set design to anything you’d want to use to make a home [into] a pro haunt. We have a cooking class in order, too, from Kaci Hansen, The Homicidal Homemaker. As the co-producer and one of the founders of ScareLA, what led you to start another festival? David Markland: That’s a difficult one to really answer succinctly and put out there, but the simple answer is we have very, very fundamental differences between our staff and one of the show’s producers. It’s not something that anybody wanted to have happen, at least on our side, but we (Rick and Johanna [Atilano] and I) left participating in that event and didn’t know what we were going to do. We just couldn’t be part of it, and then we had Gary Baker, who was running the LA Ghost Train and was also a big supporter of ours for the last few years, running our AV; he basically said, “You guys still have to do something and do it big.” So, he stepped in to be our executive producer. I came in as executive director. Theme Park Adventure [Rick and Johanna] came on to be co-producers and planners as well, and then Claire Dunlap, who’s been my partner for many years, came in to produce as well. And we just knew we had to hit the ground running and hit it hard. Between all of us, we’re just so connected to the Halloween community, with Rick and Johanna just knowing everybody in the pro haunt community, the home haunt community, myself as well knowing a number of people. I work in events full time, so for me hitting the ground running and going big is kind of normal, and the idea of not doing something big for Halloween felt really odd for me, so we had Midsummer Scream. So, it was a matter of…I think it’s been five or six weeks [at the time of this interview] since we had an inkling of the idea, and we’ve gotten a huge theme park community support, and I think that speaks to who we are, individually, and the relationships we have. How do you feel about how everything has come together for Midsummer Scream? Rick West: We are basically taking everything that we have learned and created over the past several years and really bringing it hard this year with our next chapter, our next adventure. So we’re really really stoked! David Markland: There’s moments in everything I do, where I get excited and I go, “I want to go to that event.” I hope I have time to walk through it as we’re running around running the show. We also make an event where we’re going to have two or three rooms of panels or entertainment going on at all times, so the greatest compliment we get is when people complain they couldn’t do everything. People will complain to us that they wish we were three days or a week long, and, to me, we can’t do that because if we did, there would still be the same problem. Are there any other features about the festival that you wanted to mention before we discover them firsthand? David Markland: We’re doing a lot! That’s why we have a good team to help. Everybody takes a chunk of it. If anybody has an idea, we try to make it happen whether they’re in our team or they’re outside of it. If somebody is part of the Halloween community, or they just have a crazy idea, we try to see if there’s a way to execute it because we know Halloween means many things to many different people. 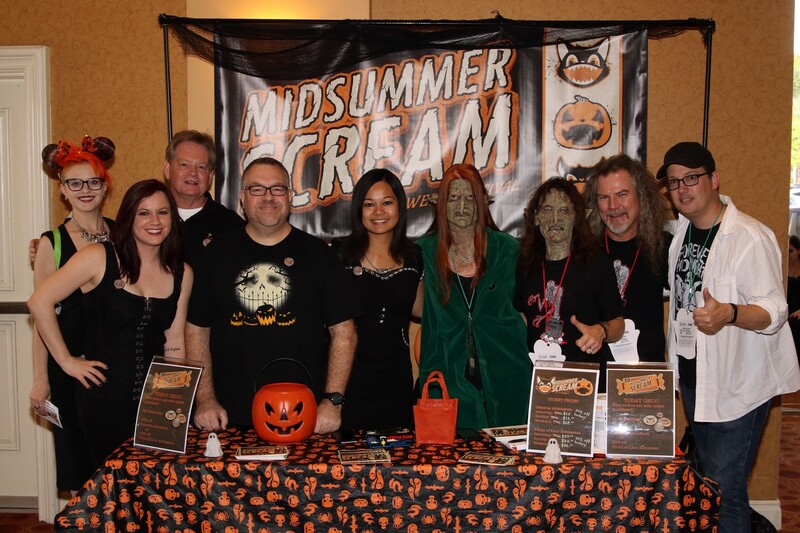 Midsummer Scream is where we want to have it, and people will have a chance to show it off.